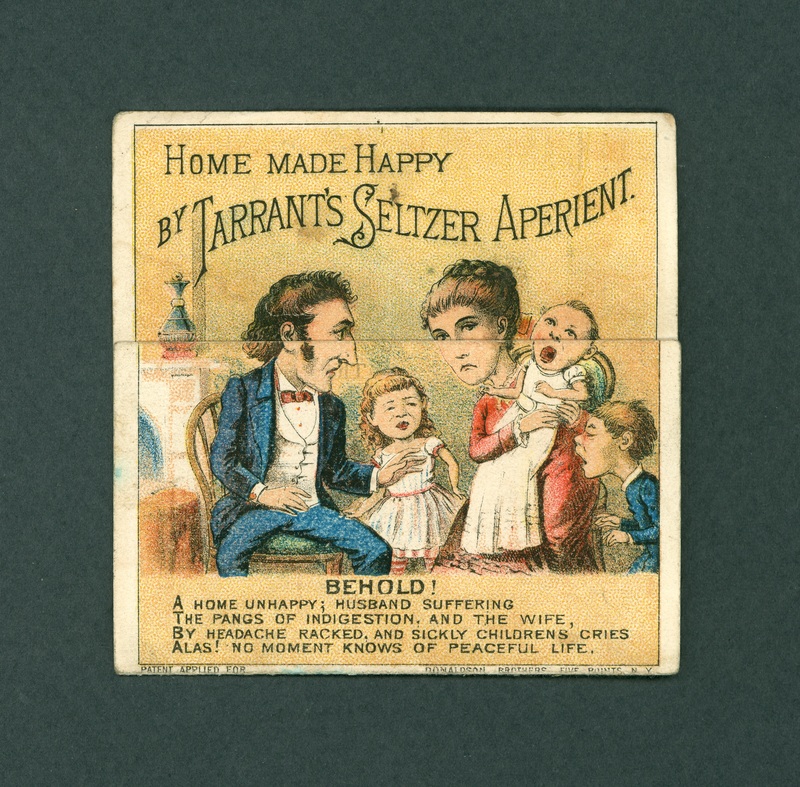 Water from "the celebrated Seltzer Spring of Germany" was advertised by this chromolithographed trade card. 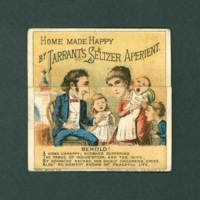 Folded, it shows the dour expressions of family members suffering illness; unfolded it depicts the smiling visages of the same after taking Tarrant's Seltzer Aperient. 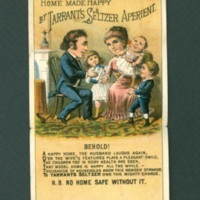 In addition to its aperient (i.e. 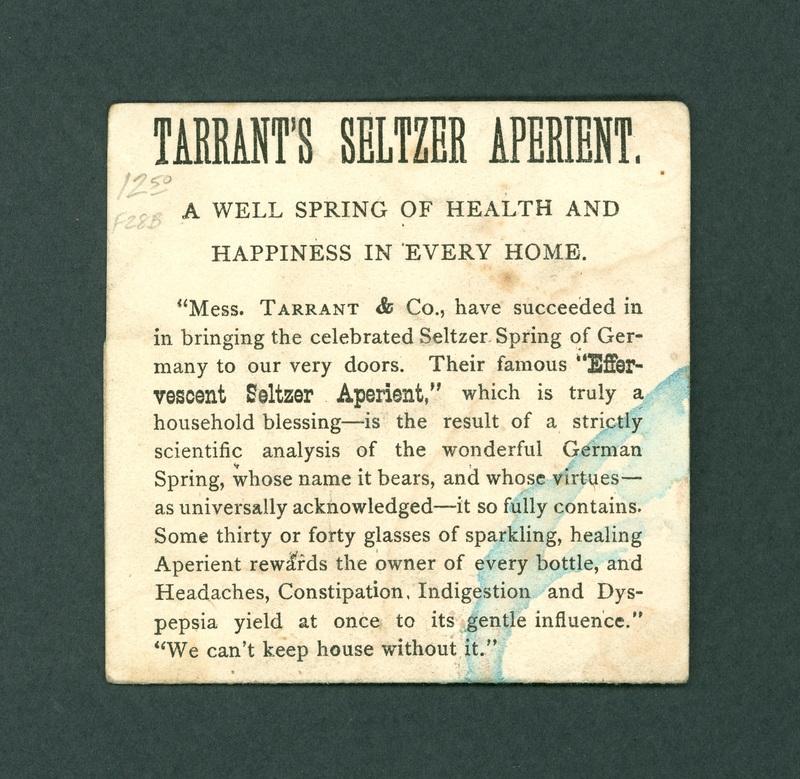 laxative) effects, it was also touted as healing headactes, indigestion, and dyspepsia. 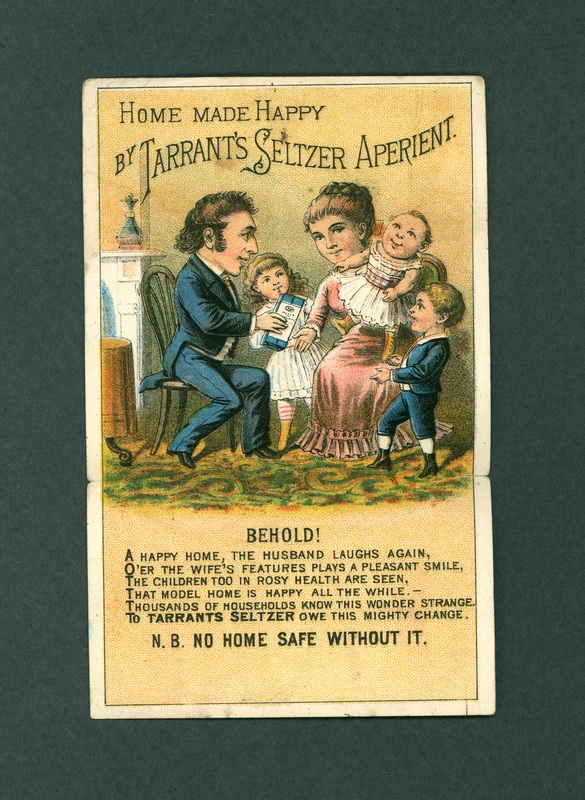 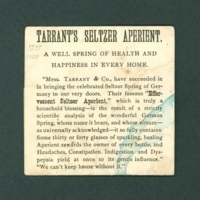 Tarrant & Co., “Tarrant's Seltzer trade card,” The Skeptiseum, accessed April 19, 2019, http://skeptiseum.org/items/show/192.